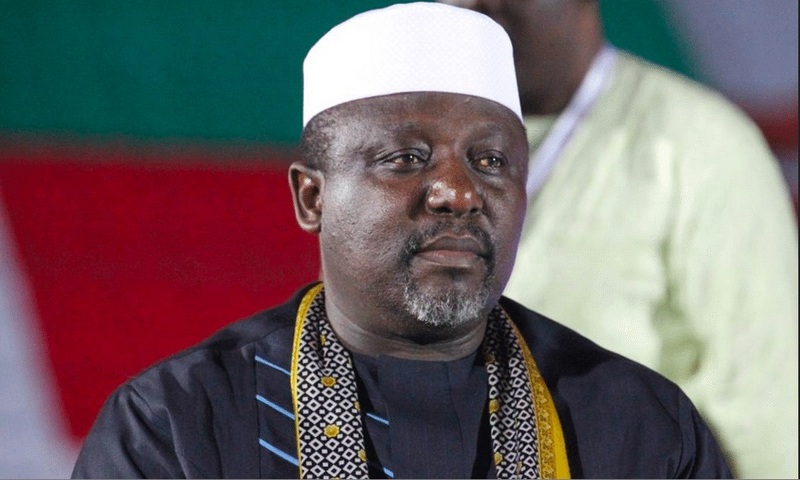 Independent National Electoral Commission (INEC) on Friday insisted that it would not issue the governor of Imo State Rochas Okorocha of the All Progressives Congress (APC) a return certificate as an elected senator unless a court of competent jurisdiction gives the order. “The position of the commission has not changed. The position of the commission is that we will not issue certificate of return to Governor Rochas Okorocha in relation to the senatorial election,” INEC’s head of voter education Festus Okoye said at a press conference in Abuja. Okorocha contested the Imo West Senatorial District election on February 23 and was declared the winner of the election. But INEC refused to acknowledge his victory because the returning officer Innocent Ibeabuchi was made to announce the result under duress.